2. Proper grooming is important. Brushing your cat can help reduce matting, which traps heat near the body and keeps the cat warmer than it would be otherwise. Grooming is also calming for many cats. If you have long haired cats, you may want to consider getting them a new “summer do,” and having their coats clipped shorter to help keep them cool. 3. Think twice before leaving your cat in your car. A study from Stanford University found that 80 percent of temperature rise in cars occurs within the first 30 minutes of leaving the car, and that even in cooler temperatures cars can quickly become very hot. For instance, at a 72 degree outdoor temperature, the interior of the car could become as hot as 117 degrees. The study also found that cracking the windows did very little to slow the temperature increase within the car. So, if you need to bring your cat with you while you are out and about, think twice before you leave it unattended in your car for even a brief period of time. 4. Keep your cat indoors. 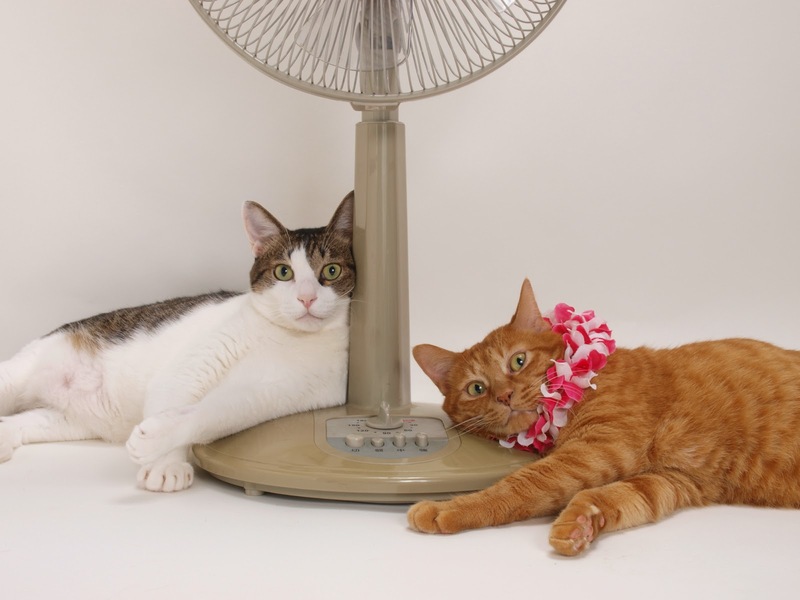 While cats have been described as desert animals, they don’t require the heat of hot summer months. By staying inside, not only will your cat enjoy an extended nap on the sofa, it will also enjoy having a safe environment while still enjoying the sunbeams. Keeping cats indoors also keeps them safe from predators, cars, parasites --which tend to be worse during warmer months-- and other dangers. “If you suspect that your cat is suffering from a heat-related illness, take it to your veterinarian immediately,” adds Dr. Brunt. Signs your cat may be overheated include panting, confusion, glazed eyes, agitation, vomiting or drooling, or staggering. Any of these signs should be treated as an emergency situation, and you go to your veterinarian immediately.